Vinegar has long been touted for its powerful antimicrobial abilities, however apple cider vinegar is the one that receives the most accolades. Unlike other vinegars, it is not distilled. It is completely natural and contains a bounty of benefits. From salad dressings to cleaners to remedies and beyond, apple cider vinegar can be the answer to your prayers. Here are ten ways it can help change your life, though do remember that since it is a vinegar, it is extremely acidic and should never be consumed without first diluting it. Dilute a spoonful of apple cider vinegar in a cup of warm water to give your body a total reboot from metabolism to liver. It helps rev up your body to restore it to its optimum functionality. Dryer sheets are full of chemicals. Make your clothes softer by using 1/2 cup of apple cider vinegar along with a full load for maximum softness naturally. Dilute one part apple cider vinegar with two parts of water, then rinse your hair and scalp. It renders your hair shiny and free of flakes. Fruit flies are some of the most annoying pests of all because they are so hard to get rid of, unless you try this amazing apple cider vinegar hack to drive them out. Add some apple cider vinegar into a washed-out plastic two-liter and puncture some holes in it. Leave it where you have spotted your unwanted fly guests and they will soon drown. Dilute it in some water first, then dip a cotton ball into it. Dab it onto you face for an excellent skin toner. Do not use it too often, though, especially if you have a sensitive skin. Get an empty spray bottle and dilute apple cider vinegar with water. Throw it in your beach bag and should you start feeling sore from the sun, spray it on. It is also good to add a cup of apple cider vinegar to your bath after a day of too much sun. Instead of mouthwash, use diluted apple cider vinegar. The acidity will also help kill bacteria and break up plaque for an overall fresher mouth. If you are looking to green clean your home, there is nothing better than apple cider vinegar. It is non-toxic, antibacterial, plus it gets everything looking as clean and fresh as those chemically-loaded cleaners. Mix 1 cup of water with 1/2 cup of apple cider vinegar into a spray bottle. Then use it to clean every surface in your home. 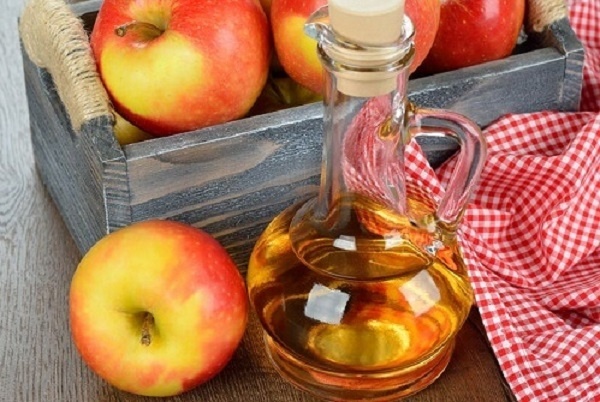 Thanks to recent studies, we now know even more great benefits of apple cider vinegar. It has blood-thinning qualities, making it great for reducing high blood pressure. It also has been shown to lower glucose levels for diabetics. Because it helps speed up the metabolism and when ingested before a meal it serves to keep you fuller, apple cider vinegar can be your new best friend if you are trying to lose weight. Just make sure you do not overdo it. Now that you know some of the best benefits of apple cider vinegar, it is time to invest in a bottle or two. Or, make your own one.